Many Hilton Head Island and Bluffton residents were once visitors, like you. They just never left. And why should you? The quality of life here is very high. As the world around us seems to get more turbulent, there is something very reassuring about living in Bluffton, Hilton Head or anywhere in between Beaufort and Savannah. Our world in the Lowcountry seems pretty darn normal, and for once, that is a really good thing. Visiting the Lowcountry? First you need to determine the right type of place to stay. 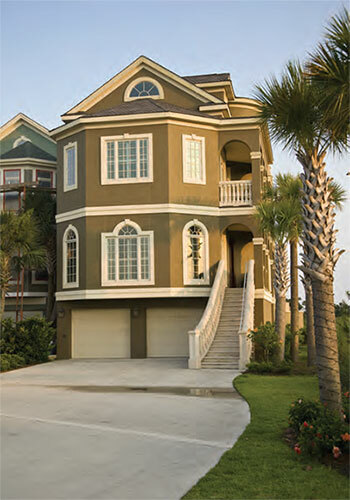 There are a variety of accommodation types on Hilton Head Island. From intimate boutique inns to sprawling timeshare resorts, oceanfront rental homes and four and five-star hotels, accommodations on Hilton Head Island have enough variety to please every travel style and budget. Usually located oceanfront, the full service hotel offers a wide array of services, housekeeping, room service, full service in house restaurants and a variety of shops, along with concierge services and various spas, recreational facilities and children’s activities. The Westin in Port Royal Plantation, Marriott and Omni in Palmetto Dunes Plantation, Sonesta in Shipyard Plantation and the Holiday Inn Beach House by Coligny circle are examples. Prices vary by the season. A number of Hilton Head hotels have just undergone major renovations, refreshing the look and feel of the popular resorts. The Westin underwent a $30 million renovation with an improved pool, deck and fitness studio. The Sonesta also underwent a $30 million renovation resulting in an expanded pool deck and terrace surrounding a lagoon-style pool, a shade pool as well as new cabanas, outdoor beds and umbrellas. 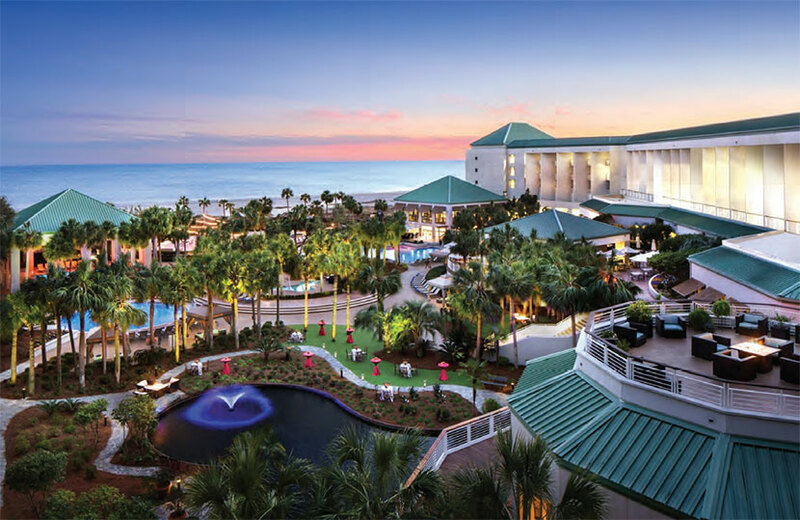 Other major oceanfront resorts have recently completed extensive renovations, including the Omni Hilton Head Oceanfront Hotel’s $17 million renovation adding a third pool and renovations to all 323 guest rooms. The Beach House completed a $5 million renovation of its 202 guest rooms and public spaces. The Hilton Head Marriott Resort and Spa underwent a renovation as well. Others resorts have plans to begin renovations in the near future. If you are looking for something a bit smaller, boutique inns located in Sea Pines at Harbour Town and South Beach in Sea Pines offer the same level of service though a bit further from the beach, offer a charm all their own. Perfect for a romantic getaway or a peaceful week away. With luxuries befiting the finest hotels, The Inn at Harbour Town offers a unique variety of first-class accommodations within The Sea Pines Resort. Traditional chain hotel/motels are located mainly along the 278 corridor, and are outside of the plantations. Prices are lower than the full service hotels, but you will not have the same amenities as the larger resorts. Vacation home and villa rentals are available in most of the South End plantations. From ocean front homes and villas to off-the-beaten-path destinations you can decide based upon your budget and desired amenities, beach, tennis, golf, fising. Don’t be afraid of the larger 6-8 bedroom homes as they can be split by multiple families and the prices won’t work out as high as you might think. Or, look for a vacation villa. Here, you can rent a fully furnished home, enjoy the extra space to spread out and the full size kitchen. If you are a tennis or golf lover, you can often rent a villa close to the course. Several rental companies on the island specialize in helping you find the perfect vacation home, whether it is a cozy villa for one or two persons or a seven-bedroom spacious home for a family. Be sure to give them a call, they are very knowledgable to the different areas and can help you find the perfect rental. In fact, it’s very common for families to use rental homes on Hilton Head Island as the perfect place for a family reunion where they enjoy the extra space, kitchen facilities and a personal pool. Hilton Head rental homes can offer an oceanfront view, pet-friendly accommodations or condos and villas with golf course views. No matter your preference — hotel or rental home — there is something for everyone.